Tropical Storm Erika Is On Her Way In Our Latest Islamorada Sport Fishing Report! Not much fishing happening in the Reel Sharp Islamorada Fishing report for the Florida Keys for the week of August 12th, 2015. With hurricane season in full swing, Tropical Storm Erika is headed to the Keys. Stormy, rainy weather has preceded her, docking most of the Islamorada deep sea charter sportfishing boats, including The Reel Sharp, for most of the week. Florida’s Governor Rick Scott has issued a State Of Emergency ahead of Tropical Storm Erika’s arrival. Residents of Southern Florida are being told to stay alert and be prepared. Locals are advised to stock up with at least 3 days worth of food and water. 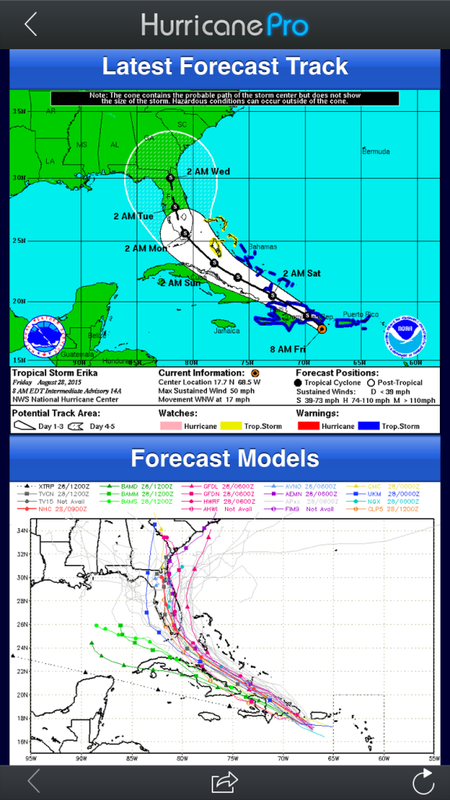 We should have a better idea about Tropical Storm Erika’s path on Saturday. Preliminary reports indicate that the storm is weakening and may start to slow down. It also appears to be taking a westerly path. The threat of heavy rainfall remains. While it is not looking like Tropical Storm Erika will turn into a hurricane, there is still a threat of significant severe weather. Stay alert and be prepared. To everyone in Islamorada and the Florida Keys, stay safe! Hopefully our next Reel Sharp Sportfishing fishing report will be full of fish and not rain!